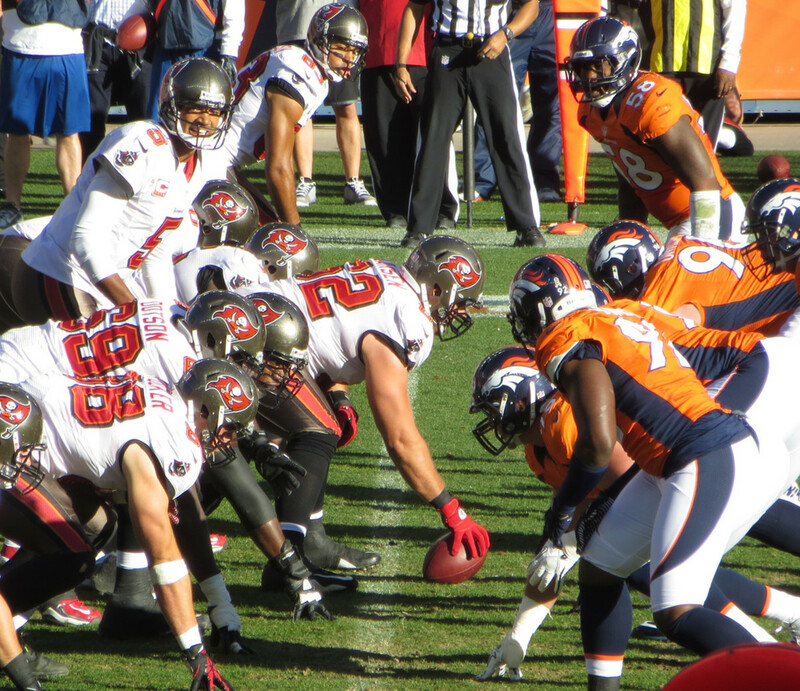 American football is one of the world’s most watched sport. 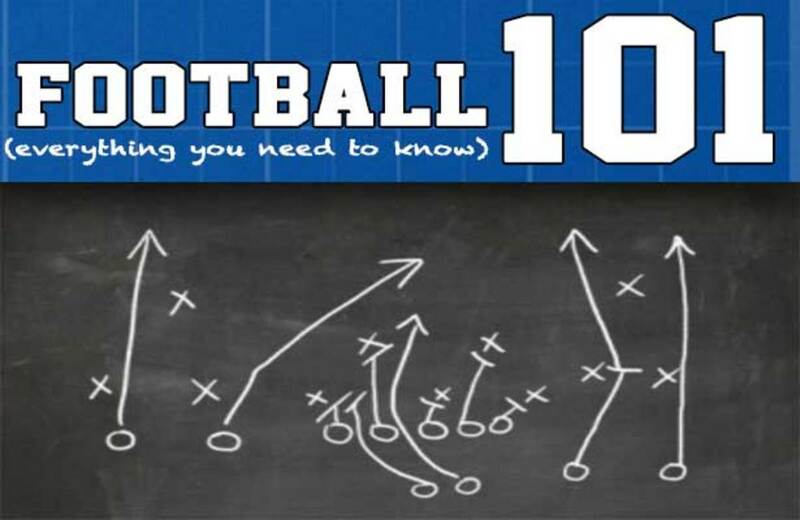 Understanding the basic rules, regulations and scoring of football makes this popular sport more enjoyable and exciting. In order to score a touchdown some portion of the ball must cross the goal line in the possession of an offensive player. The kicker kicks the ball between the uprights of the goalpost and above the crossbar. Advances the ball across the goal line again as if scoring an immediate 2nd touchdown. A safety is scored if the opponent travels backwards into their own endzone and is downed in the endzone or steps out of bounds in the endzone. Football is a timed sport; the team with the most points at the end of the time period wins the game. 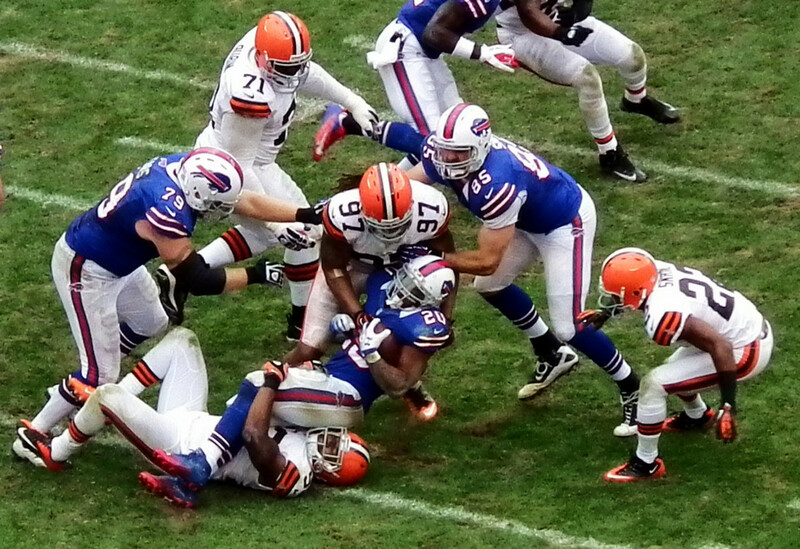 The football, an oblong shaped brown and white ball, is advanced by runners or by passing until the opposing team tackles or stops the play. Goal: To score the most points. 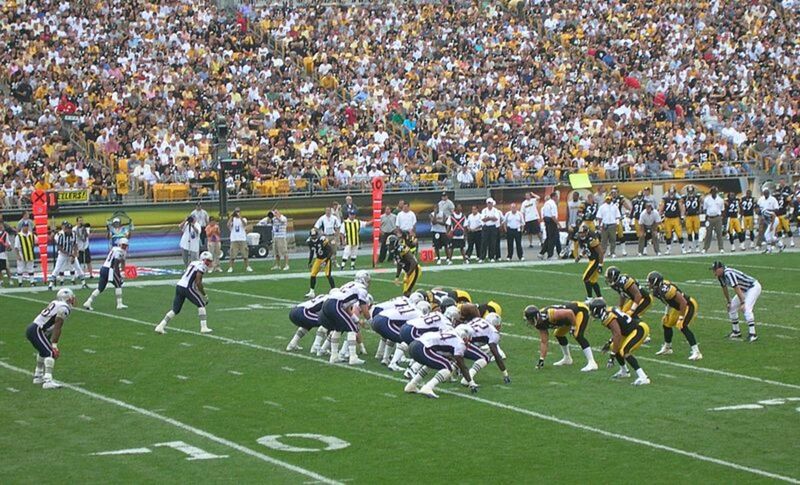 Time: Football games are divided up into two halves or four quarters. The clock doesn't run all of the time. It gets stopped for time outs and between certain plays. Dimensions: The field is 100 yards (300 feet) long and 53 1/3 yards (160 feet) wide. At each end of the field is an end zone. This area extends the field another 10 yards on each side. Field Goal: Centered at the end of the end zone is the field goal. The bottom of the field goal is 10 feet high. Field position: Where the offense starts with the ball determines how far they have to go to score. Good field position can mean the difference between scoring or not scoring. Many times the team with the best field position throughout the game wins. Jersey Numbers: Each player has a number on their jersey. 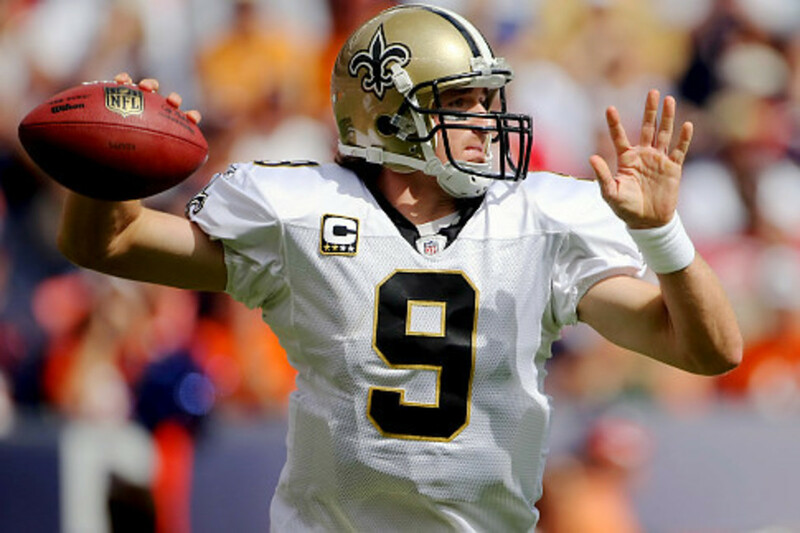 In the NFL certain positions must have a number within a certain range. What Is a football down? A down is basically a football play, or the time when the ball is played. 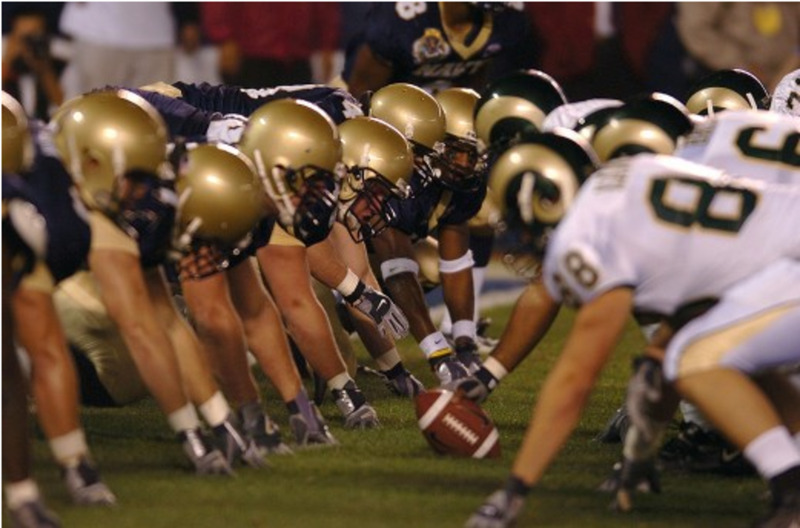 A down begins with a snap to the quarterback or kicker and ends when the ball or the player in possession of the ball is declared down by an official. When the team has possession of the football, their offense will have 4 tries, or 4 downs, to move the football only 10 yards. 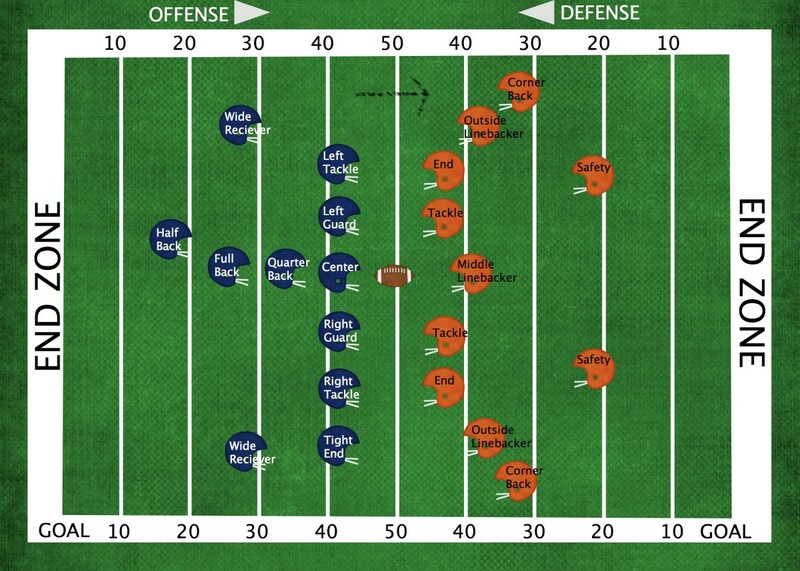 At any time the offensive team gains 10 yards or more, than the downs start over. If they do not gain 10 yards within the 4 tries, the opposing team gets possession of the football. If they fail at the 4th attempt, the other team gets possession of the ball at the spot where the ball last down. Note: Usually the team will punt the ball on their 4th try to try to get it as far away from the opponent's goal as they can. When you hear the announcer say 2nd and 7, he is basically saying this is the second down, or second try to the offense needs to move the ball 7 more yards to complete 10 yards. After the 10 yards are completed the downs will start over again allowing the offense to get closer to the goal line and score. What Are the Orange Field Markers on the Football Field? 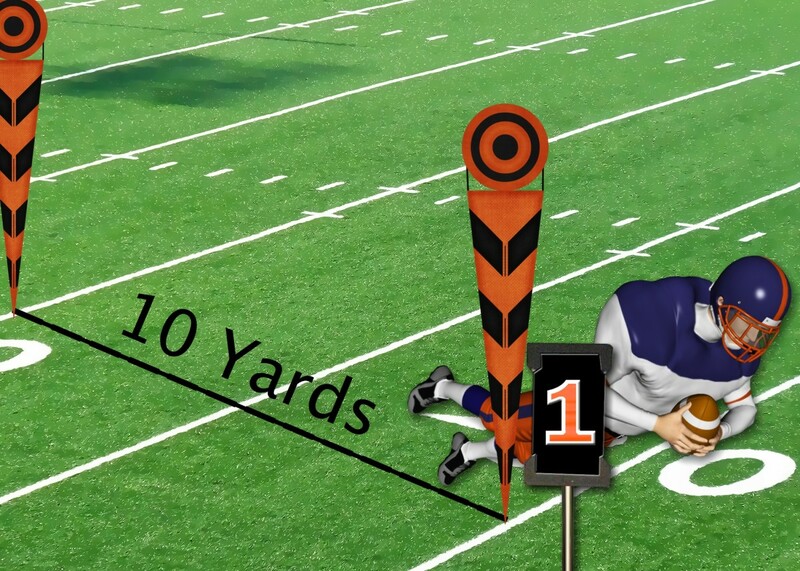 The orange field markers on the sidelines are used to help determine if the offense gained 10 yards. They are used especially when it is too close for the officials to determine if the football placement on the last play has indeed gained 10 yards or more. There is a chain between the two markers. When the makers all pulled tautly, they measure exactly 10 yards. The number marker on the sidelines indicates what down, or what play the offense is playing. The number marker will display the numbers 1, 2, 3, or 4. The team that has possession of the football puts their offense players on the field. Their goal is to advance the ball and score. They have four downs to go ten yards to get a first down, or they lose possession of the ball. 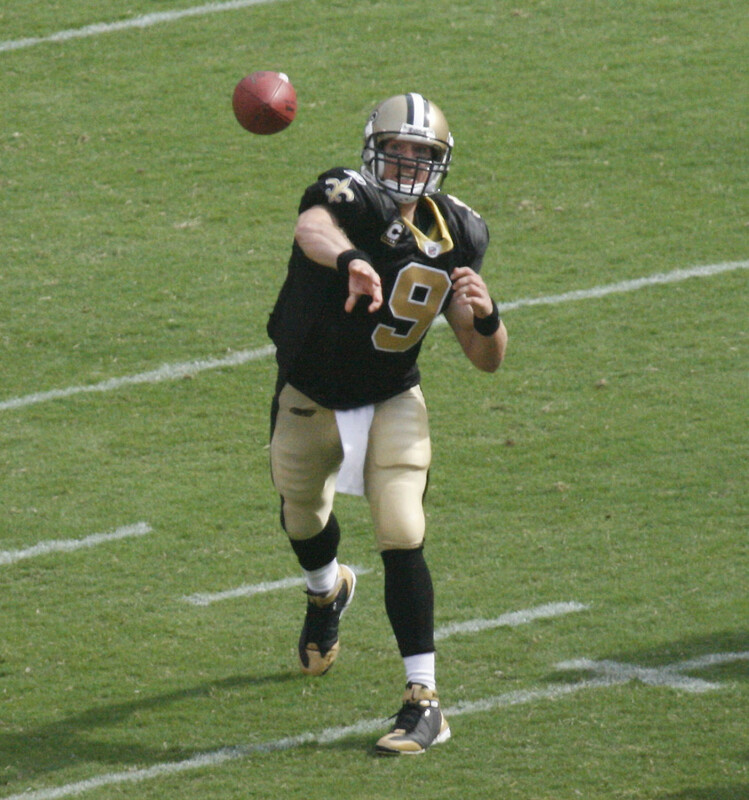 The offense can advance the ball by running or passing it. Eleven offense players are on the field during plays. The team that does not have possession of the football puts their defensive players on the field. Their goal is to stop the other team from advancing the ball and scoring. The defense tries to stop the offense from getting 10 yards in four plays and scoring. If they can do this, their team gets the ball back. Defenses are also trying to get the ball through turnovers like a fumble or interception. Eleven defense players are on the field during plays. 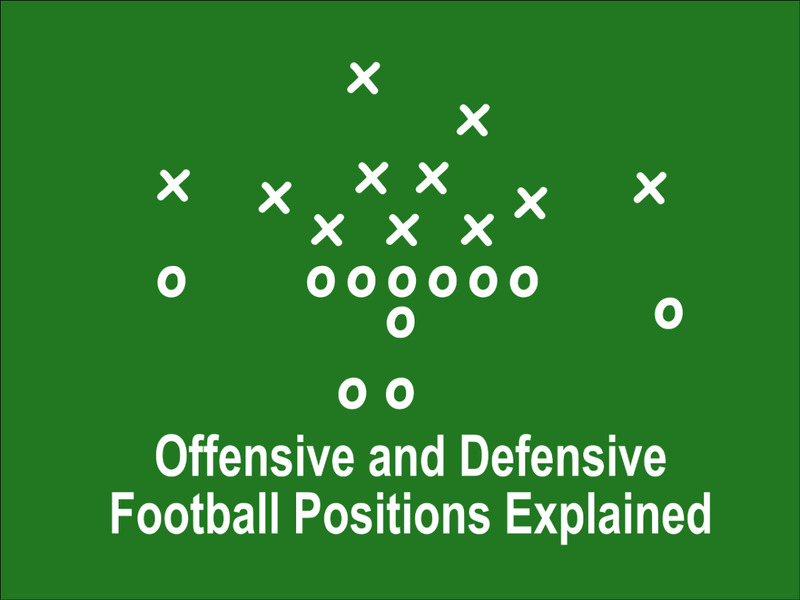 Offensive and the defensive teams play a considerable amount of time in a football game, but there is a third set of team players that play an important role in every game- the special teams. 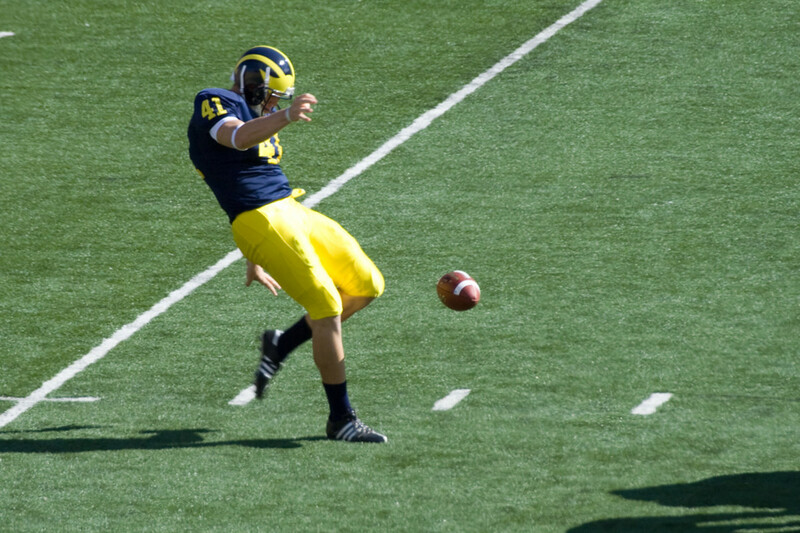 The kickers are members of the special teams in football. They have very specialized skills and roles to play in the game. Kicks field goals and extra points. Holds the ball for the field goal kicker. Able to catch, steady, able to pass if needed. Snaps the ball to the punter. Football is a true team sport. Most teams will play at least 30 or 40 players on a regular basis during a game. Each player usually specializes in a particular position and skill. Football is a full-contact sport; therefore, equipment, helmets, and rules are adhered too to keep players as safe from injury as possible. Do you enjoy watching football? Yes- It doesn't matter who the teams are, I love to watch a good football game. Yes- But only if my favorite team is playing. Kind of- I just watch it because everyone else in the house enjoys it. No- I really do not like to watch football. Thank you for the feedback Thatcher. Hi Rose, I am glad you understand football a lot better. Thank you for sharing and voting up. It is always appreciated. jdw7979, thank you! I appreciate your comments. Nice hub! I enjoyed the read, and as a former player and current fan, appreciate the ideas and work put into this HUB..
TeaPartyCrashers, I like your idea of adding common offensive and defensive plays. I think I will make another hub for that, because this one is already lengthy and I wanted to keep the information as simple as I could as not to overwhelm the reader who knows little to nothing about football. Thank you for the suggestions! Cyndi, thank you for reading and commenting. I am glad this hub can help you understand this game a little bit more. Toyasting, Thank you for stopping by, reading and commenting. I hope your brother enjoys the hub. thebiologyofleah, I am glad this hub pulls it all together for you. It is a hard sport to learn because of all the intricacies of the rules, positions, etc. However, once you 'get it,' the game becomes that more exciting because you understand exactly what the offensive and defensive need to accomplish in order to win. Great Hub, very deserving of Hub of the Day. I was so excited to see this when I logged on because I have been meaning to read up on the basics of football. I enjoy watching with my family during the season and I understand the very basics but this article helps tie everything together for me. Thank you! One quick note, I have never heard the term "Place Holder" used; usually that person is just called the "Holder". May I suggest for part 2, you look at common offensive plays like the sweep, trap, screen pass, etc. 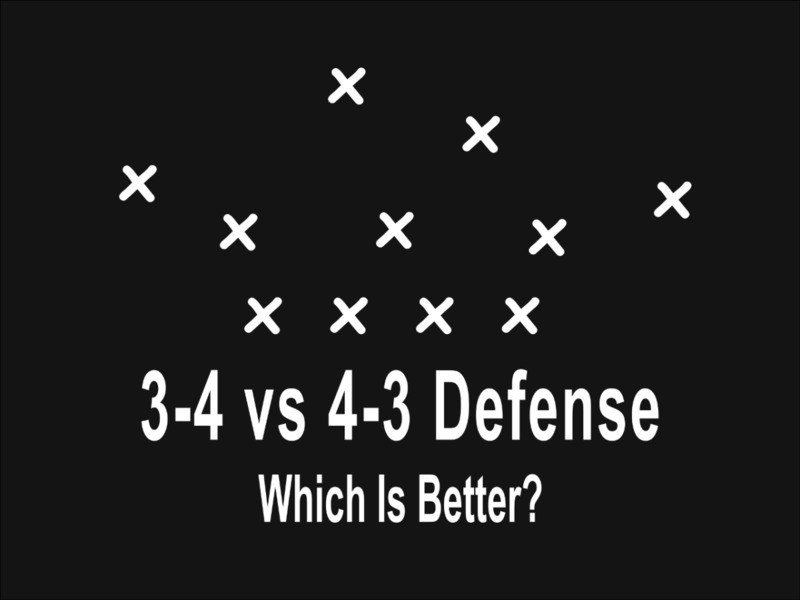 Also looking at some basic defensive alignments 4-3 and 3-4 as well as blitzing, etc. Thank you ParadigmEnacted. It is a good rough outline and simple for those who are just learning the game. Good rough outline. I'd recommend this to certain people. 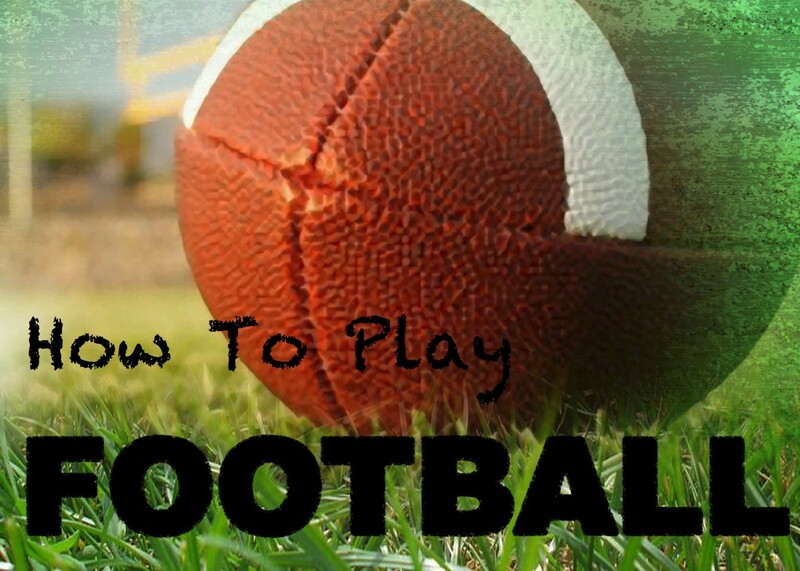 Chace, I think many people, mom's and women especially like football but do not really understand. Once you understand it better I think the game becomes that much more exciting. I hope she likes the hub. Tara, thank you for stopping by. The different positions and their names is where I too need to keep studying. I like that in the pros the number ranges indicate the positions. That is helpful when spotting single players from the team. Awesome hub! :) Great layout and I love the tables. My mother needs to read this because she loves football but has no idea how it works... I think she just watches it for the dudes, lol! I can never understand American football. I can understand Australian football though. I think that is simpler in terms of the rules. Now, if I'm confused about the game, I know where to read up on it! Loved it! Lets play ball! The kids and I enjoyed learning about the different positions. I will keep this close by when the season starts.. Thank You MsDora. When I was a little girl my dad was my interpreter. I asked a lot of questions, but it helped make the game more exciting because I could understand what I was cheering for. I had no idea about the jersey numbers. As a rule, I only watch the game if I'm with an interpreter. This is having lived in the US for most of my life. You did a very good job in explanations. Another HOB? Great job! pmarinov, I am glad it helps. Thank you for voting up and sharing. Very detailed and well written hub! Thank you, this hub will be very helpful to people outside the US who are just getting into the American Football world. I go through it a couple of times a year as my better half's family comes where there is no such thing, but they can see it on satellite. Thank you Eric. It did take some time. I hope it would be useful to those who are trying to understand this amazing sport. Just wonderful. Well done -- this took some work. I like it!